The latest the Eddy Merckx range has to offer will be shown exclusively at Core Bike, with the jewel in the crown being the EM525. This new top-of-the-line carbon road bike is available in a Performance and an Endurance version and comes fitted with disc brakes. 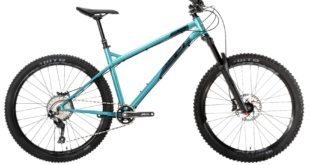 The range boasts constant stiffness for each frame size and the ‘highest stiffness to weight & right compliance’ (900gr/380gr; frame/fork). There’s a Monocoque front triangle and fork with the design integrates the fork and seatpost. Geometry has been optimised for performance and endurance, and there’s seven frame sizes available. There’s internal cable routing (mechanical and electronic) as well as internal disc brake cable routing to keep the EM525 looking clean. There’s clearance for 30mm tyres throughout the range. performance and comfort even in hot summer weather. The SS.laalalaiJersey_evo7 – a brand new female specific women’s jersey designed for the summer months – will debut at Core too. The product combines the comfort of Assos’ type.002 material with added, lighter type.220 material in strategic places. T.laalaLaiShorts_S7 Lady are the brand’s first female-specific S7 bib shorts. After causing a stir with the S7 insert for men, they have now developed a women’s version of what Assos says are ground-breaking shorts, offering complete comfort on the bike. Using Assos’ S7 generation of shorts as a platform, the brand has created the HK.laalaLaiKnickers_S7 Lady designed to be the most comfortable yet for slightly cooler days. 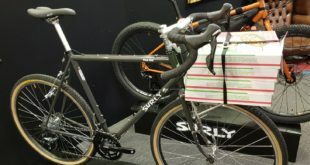 Meanwhile the OffRoad Rally range comprises T.rallyShorts_S7 complete with impactPads, SS.capeepicXCJersey_evo7 and SS.rallytrekkingJersey_evo7 in both male and female specific variants. Not only that, but Core will be a chance for existing ASSOS dealers to preview items from W16. The Helmet Liner Buff is now available in more designs. Aimed at those partaking in high intensity outdoor activities like MTBing, road biking, climbing, kayaking or any other helmet-wearing activity, this technical product has fabrics joined by heat fusion to avoid skin irritation. The 27.5cm tubular is ideal for using under a helmet. They’re made of Fastwick Extra Plus fabric, which is highly breathable, absorbs sweat and is fast wicking, offering great breathability and humidity control. The special knit design keeps the rider very comfortable even during very intense activity, keeping the tubular fresh and dry. It’s odour-free thanks for Silver+ technology and those comfort seams have elastic Bonding Technology, for a seamless, threadless garmet with optimal fit and skin irritation prevention. And then there’s the Coolmax 1 Layer Hat Buff, a soft and light hat designed to be worn at any time during the year. It keeps your head dry, comfortable and protected from UV rays (up to 95 per cent UV protection). 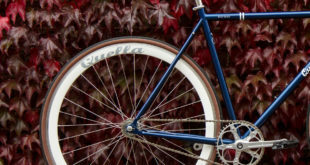 Chicken CycleKit returns to Core Bike with a fine display of products and brands centred around 2016 stockist packages including Campagnolo, Cinelli, Deda Elementi, Flinger, Miche, NET, Selle Italia, Sportourer, Tifosi and Vittoria. Two notable highlights include the new NET saddles by Selle Italia, and the new disc bikes from Tifosi. NET is a new urban saddle range. The saddles are made from a virtually indestructible material, are completely waterproof, are 100 per cent recyclable and are not manufactured with any toxic materials or bonding agents. The unique thermoplastic honeycomb shell was design to allow the ischial bones to move independently and adapt to various riding styles, making this reportedly one of the most comfortable saddles in the urban market. The saddles are competitive at RRP, starting at £21.99, and are made in Italy along with the rest of Selle Italia’s range. There’s a great margin for stockists and fantastic POS available, we’re told. If you can’t wait until Core, dealers can speak to their account manager or call the sales office on 01525 381347. Tifosi gave dealers a glimpse of their new road disc bikes at the Cycle Show in September and for Core the full range will be on display. The retail prices and specifications are said to be competitive, with pre-orders already flying in. 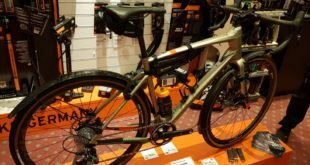 Three models have been introduced; two gravel bikes, one aluminium and one carbon version, with a carbon disc road option also available. Visit Chicken CycleKit at Core for information on becoming a Tifosi dealer.